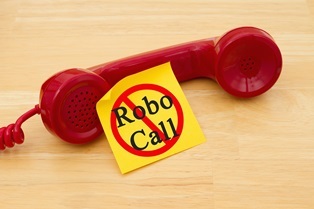 Stopping Neighbor-Spoofing Robocalls | The Consumer Law Group, P.C. Most consumers have learned not to answer their cell phone when they do not recognize the number of the incoming call. After all, if it is not someone already in your contacts, it is probably not someone you want to talk to. But what do you do when the number looks familiar? What if the first six digits are the same as yours? Many of us think that means it must be a neighbor or someone close by, so we take a chance and answer it. However, rather than being someone up the street who found your cat or your child’s teacher calling with an emergency, it’s just another robocall. What’s happening here is a new scam by telemarketers and debt collectors called neighbor spoofing. Robocallers have had the ability to mask their numbers using Voice over Internet Protocol (VoIP) software for years. This is how call centers in India can make their calls look like they are coming from within the U.S. In this latest twist, however, the software mimics the area code and prefix of the number it is calling, making the recipient think it is a local caller. People are much more likely to answer a number from within their area code and a number with the same prefix feels even safer. That is exactly how the scam artists and telemarketers want you to feel and that is why this tactic works. When you are in the business of making sales, soliciting payments, or committing a scam over the phone, you need the person you are calling to answer. Often these callers—even the recorded messages—are very convincing, so once they have someone on the phone, they have won the battle. Elderly people and non-native English speakers are particularly vulnerable to such phone calls. You may be savvy enough to avoid a telephone scam—even if you are tricked into answering your phone—but many others are harassed and cheated every day. The easiest way to avoid an unwanted solicitation by phone is to not answer your phone if you do not recognize the number—even if it is similar to your own number. If it is a legitimate caller, they will leave a voicemail and you can return the call. The Federal Trade Commission (FTC) is taking action to crack down on robocalls, but it is difficult to keep up with the technology and tactics used by call centers. Protect yourself and your loved ones by using the FTC’s Do Not Call registry and remember to never give personal or financial information out to unsolicited callers.